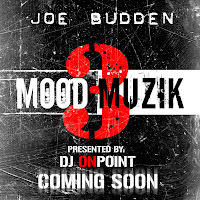 After the critical acclaim from his second mixtape album, mood muzik 2, Joe Budden is set to release his highly anticipated mood muzik 3 this Dec. 11th. The disc is available for pre order right now the cheap price of $10; you can find all kinds of sample tracks on the YouTube’s and Allhiphops of the internet’s now. Below a new music video for "Star Inside of Me," the official trailer for Mood Muzik 3, and a preview hosted by Joe.